Armed officers, a helicopter and a dog unit were called out to aid the arrest of a wanted man this afternoon, after he was traced to Littlehampton, police have confirmed. Police said officers successfully detained Jack Walters, 22, of no fixed address, who had been jailed for two years three months on September 4 2015, following a conviction for malicious wounding. Police said he was released on licence on September 27 last year, but subsequently breached the conditions of that licence, leading to a warrant for his arrest being issued on February 10. 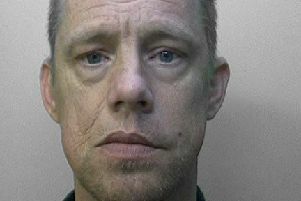 On information that Walters was in a flat in Littlehampton, police contained the property until he could be arrested, a police spokesperson said. As part of the operation police deployed armed officers, a helicopter and dog unit. Inspector Marc Clothier, of the Arun Neighbourhood Policing Team, said: “We were able to detain Walters shortly before 3.30pm.